As summer slips away, it’s time to start getting ready for fall! 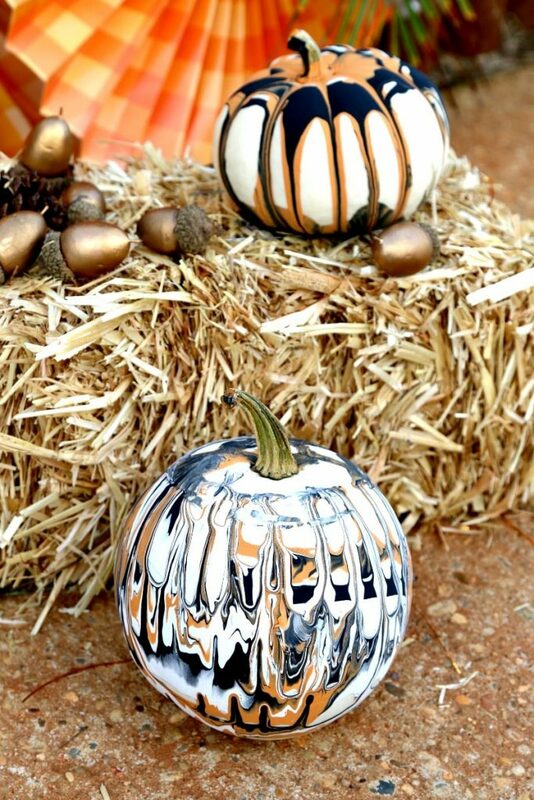 Gear up for the fall season by replacing your summer items with festive decor. 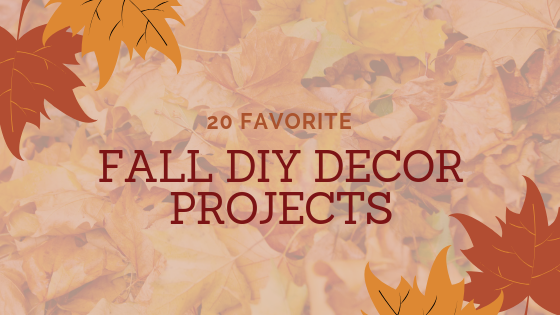 If you’re ready to get a bit creative, here’s 20 fall DIY decor projects. Crunched for time? Or looking for an easy craft to do with the kids? 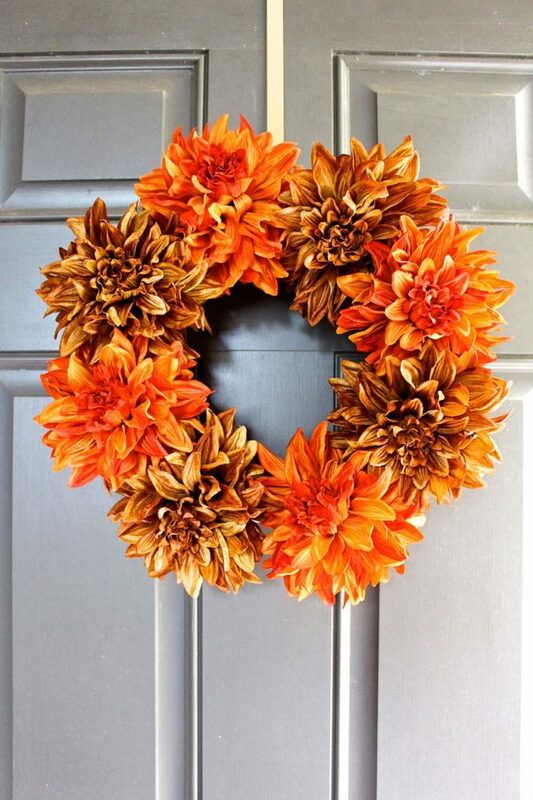 These fall wreaths by 2 Bees in a Pod are a simple way to spice up your front door in just a few minutes. 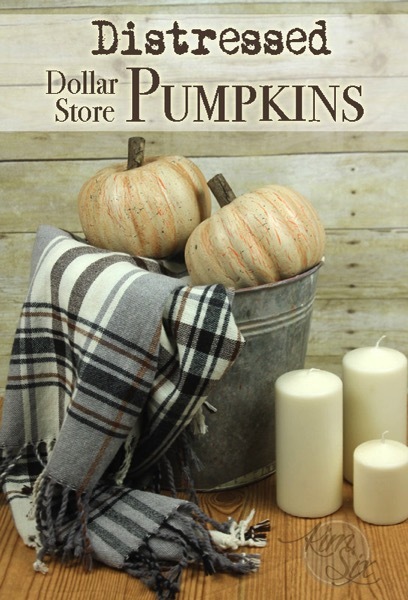 Decorate your home on a budget with these distressed dollar store pumpkins. The Kim Six Fix shows you how to create your own decorative pumpkins with a cackle finish. With some mason jars and just a couple craft items, you can make some adorable rustic style mason jars to utilize around your home. 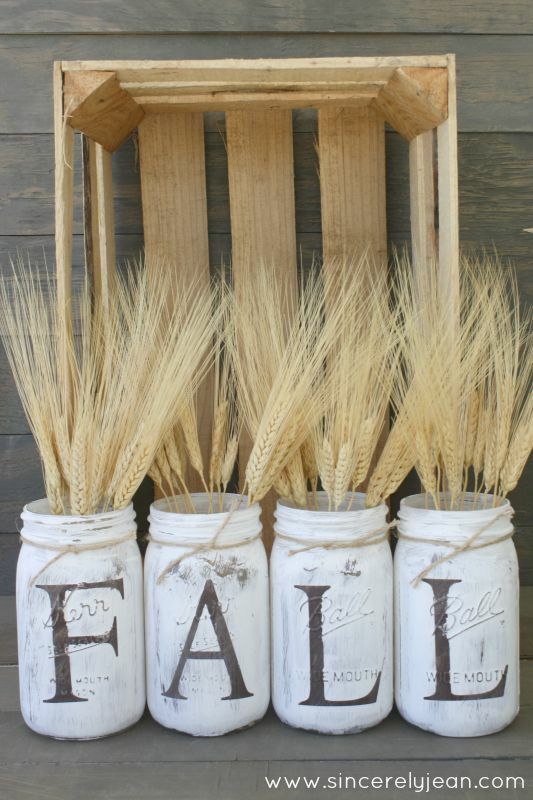 Sincerely Jean suggests filling the jars with wheat stalk, but you can also fill with fall colored flowers, or even household items like kitchen utensils or craft supplies. What better way to greet your guests then with a fall themed welcome mat!? 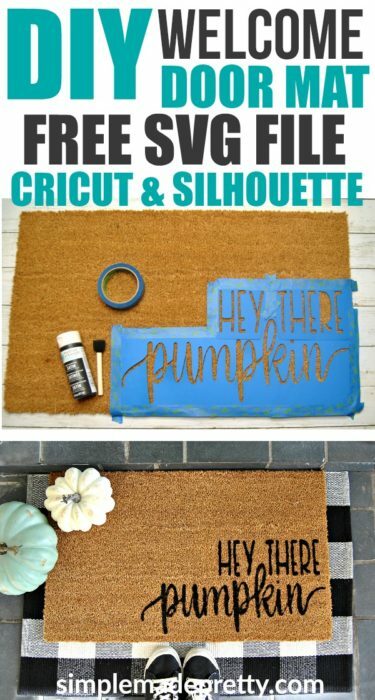 Simple Made Pretty walks you through how to design and create your own welcome mat to use throughout the fall season. Want to add some sparkle to your home? 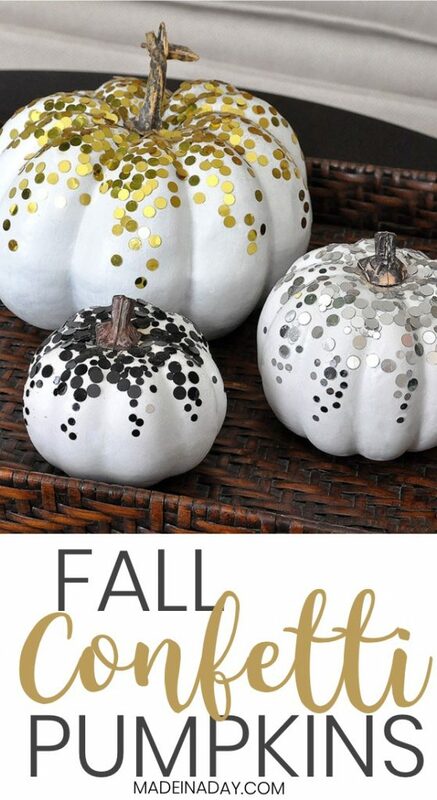 Try these confetti pumpkins! Easily make these pumpkins by Made in a Day with just a few supplies, and you’ll bring some basic pumpkins alive! 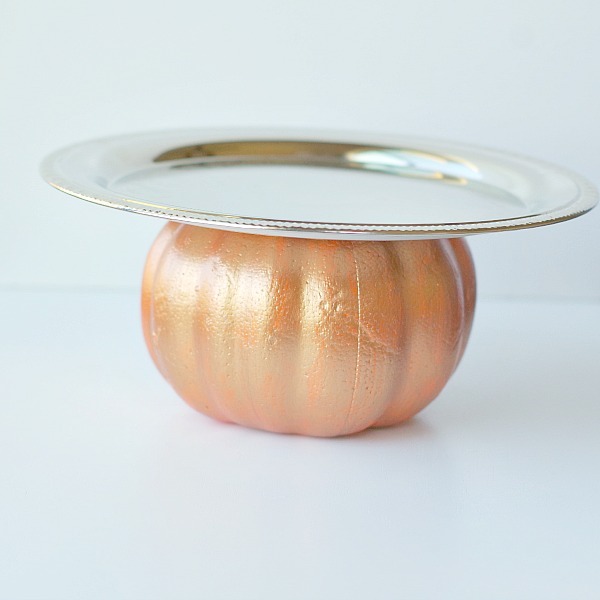 If you’re having guests over this fall, this DIY pumpkin serving tray will be a hit. By using a few dollar store items, you can make a tray that’s perfect for a fall party or Thanksgiving dinner. Val Event Gal offers you step by step directions to make this versatile tray! There’s no need to spend money on fancy fall candles- making your own candles at home is easier than it sounds! There’s nothing that makes a home more cozy than fall scents flowing throughout. 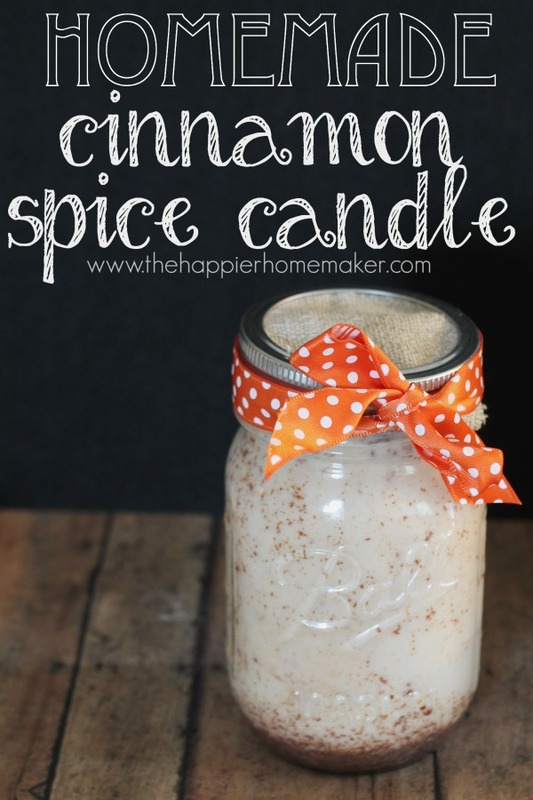 The Happier Homemaker made a delicious smelling cinnamon spiced candle that you can make too! 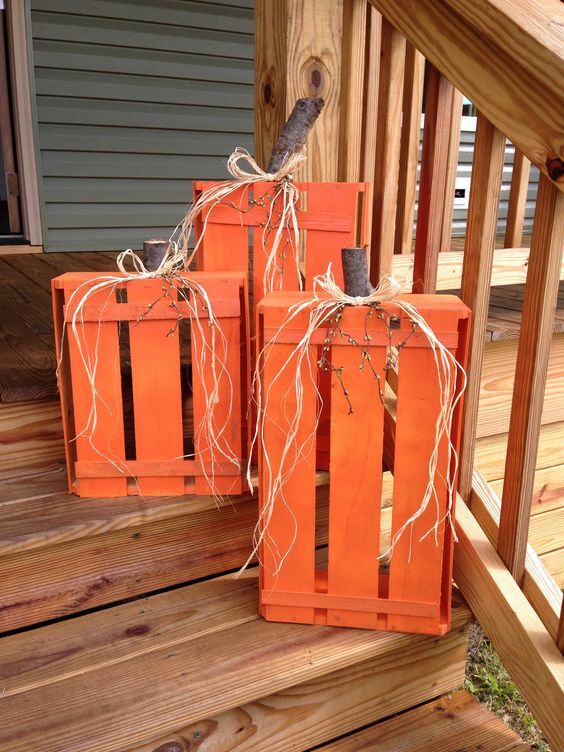 Make your front porch stand out by adding these wood crate pumpkins! With a few wood crates, acrylic paint, corn husk ribbon and a branch stem, in just a few minutes you can put together these eye-catching decorations. 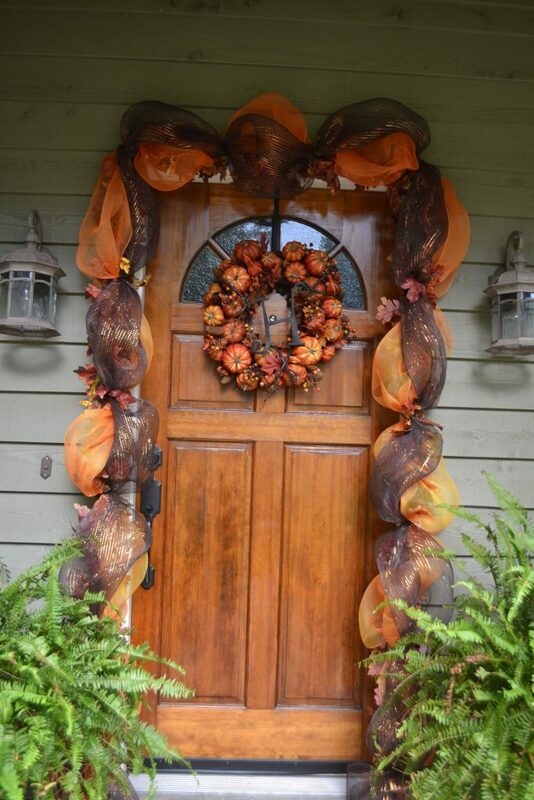 Crafty Morning shows you how to simply put those 4 items together to create some front porch fall flare! Another way to spice up your usual front porch area is by adding some pumpkins to the area. 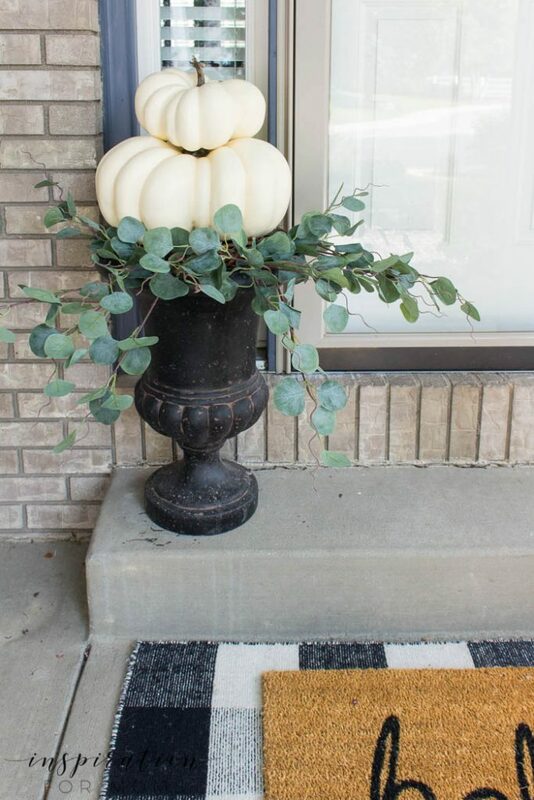 This easy DIY fall pumpkin topiary by Inspiration For Moms only takes a few minutes and adds a beautiful but neutral fall touch. Make one for either side of your door, or show off one in the corner of your front door area. Dress up your front porch with a DIY deco mesh door frame! Big Lots shows you how easy it is to decorate any door frame with classic garland. Welcome your guests in a big fall way! 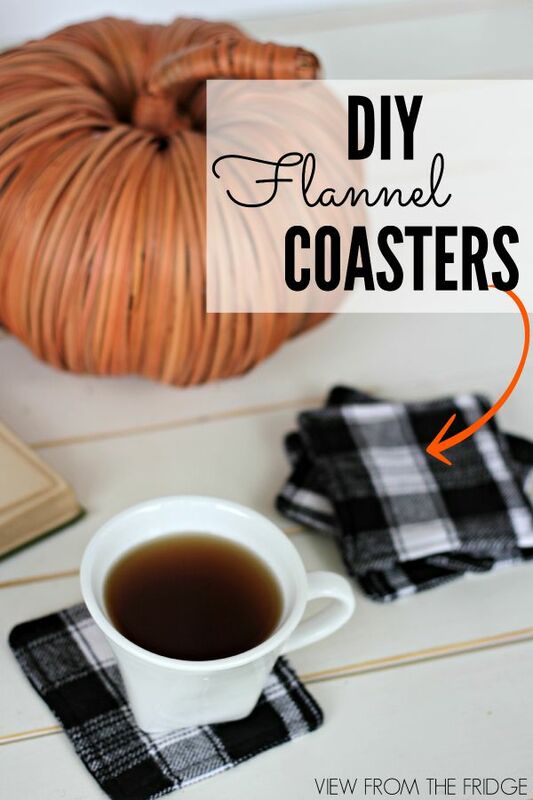 Add a small, cozy factor to your home with these DIY Flannel Coasters created by Juggling Act Mama. You can get creative with whatever type or design of fabric you’d like, and they are perfect for your fall drinks! 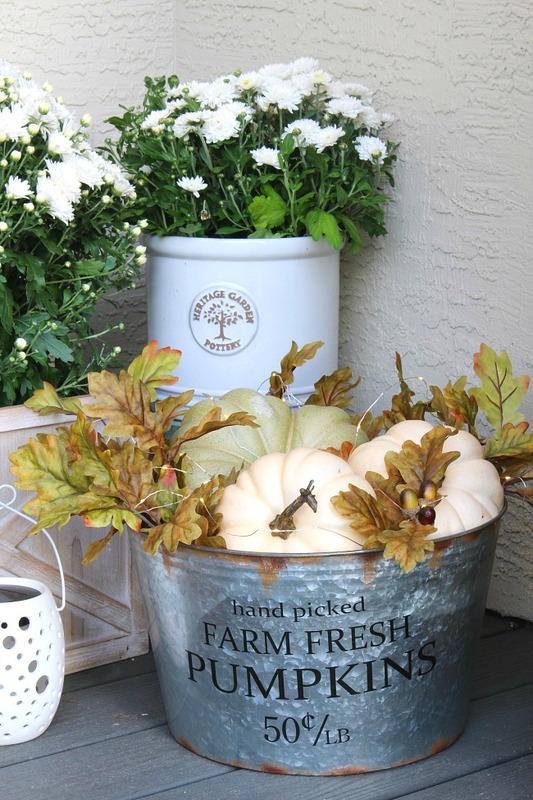 This do it yourself basket can be put together in just a couple of minutes, and adds a pretty glow to your fall decor. Over at Clean & Scentsible, blogger Jenn gives her tips and tricks on how to make this pumpkin basket, and make your home glow! Creating these pumpkins are fun and family-friendly since it’s a no carve pumpkin. While a bit messy, this craft is fun for the whole family and a great way to get creative. Momdot has her tutorial on how to make these fun drip pumpkins. With just 3 cheap items, you can add some sparkle to anywhere in your home! 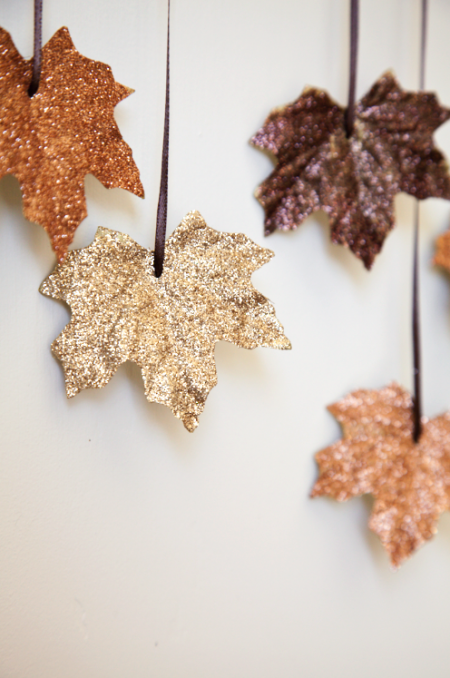 House of Jade Interiors shows you how to create this craft project simply with artificial leaves, glue and glitter. If you have a plain mantel space, you can add a fall touch with this mantel piece by A Diamond in the Stuff. 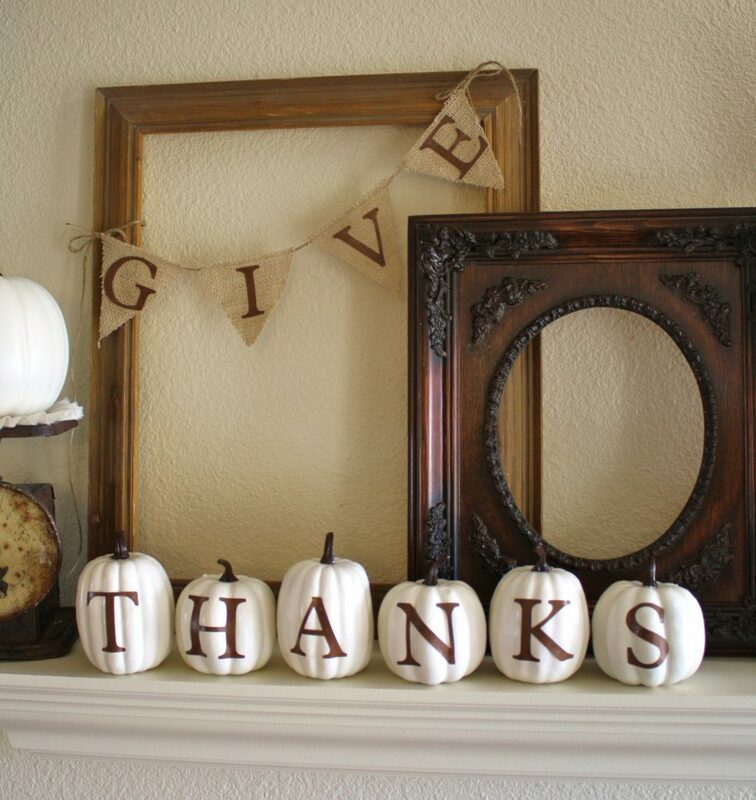 Spelling out ‘Thanks’ (or any other fall phrases) designed on small to medium sized dollar store plastic pumpkins makes a fabulous mantel piece. Everyone is loving the farmhouse or rustic look, and this piece shown by Celebrate Mag fits right in to that theme! 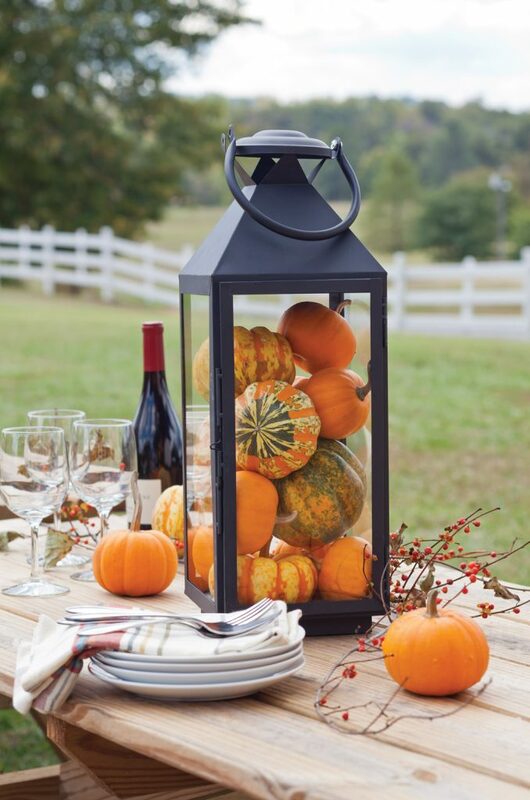 Add as many miniature pumpkins and gourds as you can into a glass lantern, and place on a dining room table, counter, outdoors or any other spot you’d like. 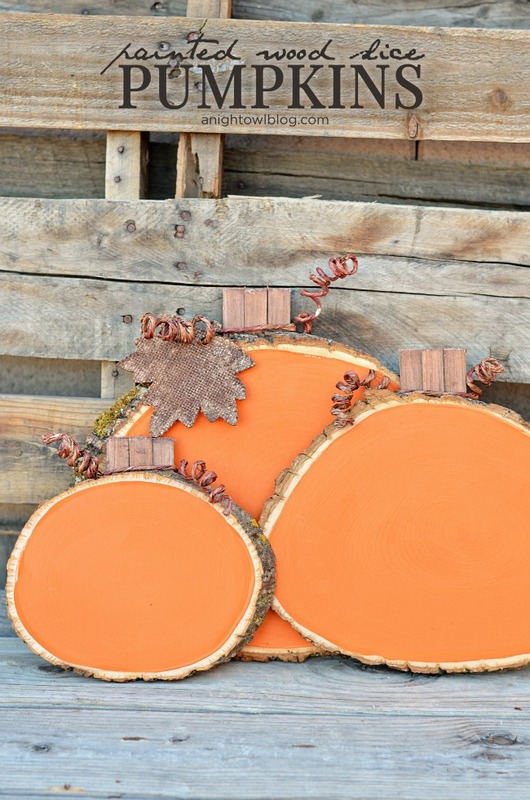 If you’re into all things pumpkins, this DIY project is perfect for you. These painted pumpkins shown by A Night Owl are really easy to make, so you can create as little or many cute pumpkins as you want in a small frame of time. If you’ve never done a picture transfer to wood before, Sincerely Sara D shows you how you can effortlessly use this method to create a cool vintage sign. 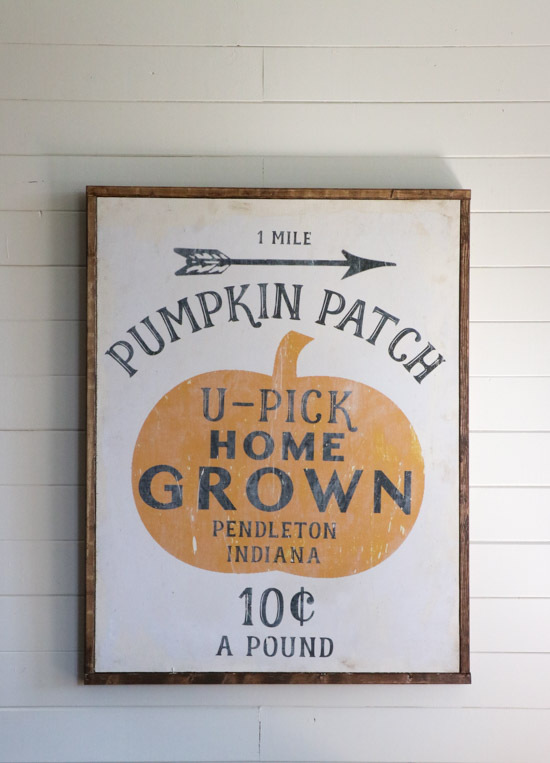 She provides the pumpkin patch themed printable, and provides instructions on how to use the transfer method to make a sign that can compliment any room! 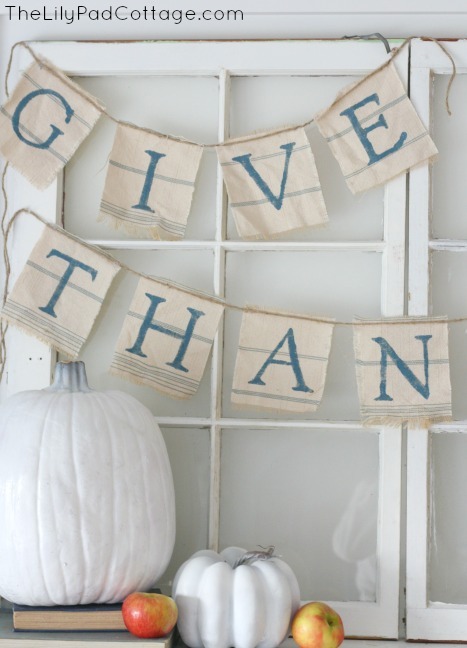 Perfect for Thanksgiving or just the fall season in general, this banner created by The Lily Pad Cottage adds a nice touch to a mantel or similar area. You most likely already have the few items needed on hand, so this is a quick and convenient DIY project. Instead of paying up for themed pillows every season, make your own! The Interior Frugalista has a genius budget-friendly and space-saving solution with these DIY checkered pillows made with stencils. 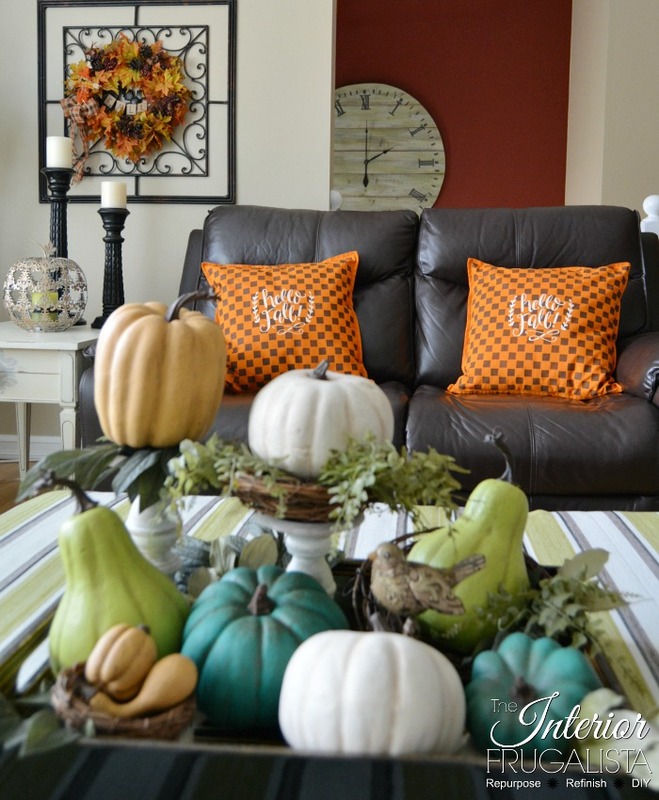 There’s so many ways to get creative with your home decorations for fall this year, and these are just a few ideas to do yourself. Don’t forget, we’re your decoration storage experts with 43 locations around the Central Florida area!